Hope you are all well! Todays OOTD was an outfit I wore to a family meal, I love going out for meals with my family, they are always full of laughter! We had a gorgeous meal and I found this outfit made me feel confident and I received lots of comments! So here is what I wore! 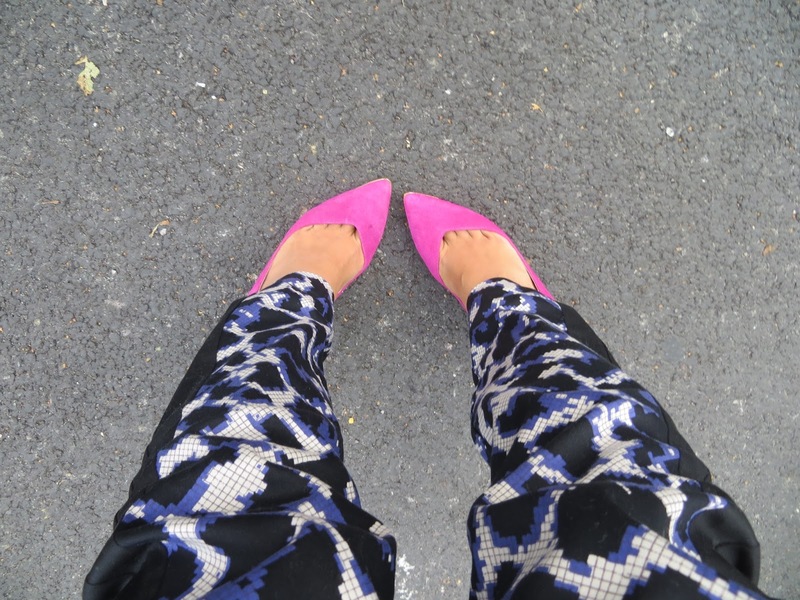 A bright yellow blazer with zip detail, hot pink lipstick and shoes to match teamed with digital blue and black printed trousers! 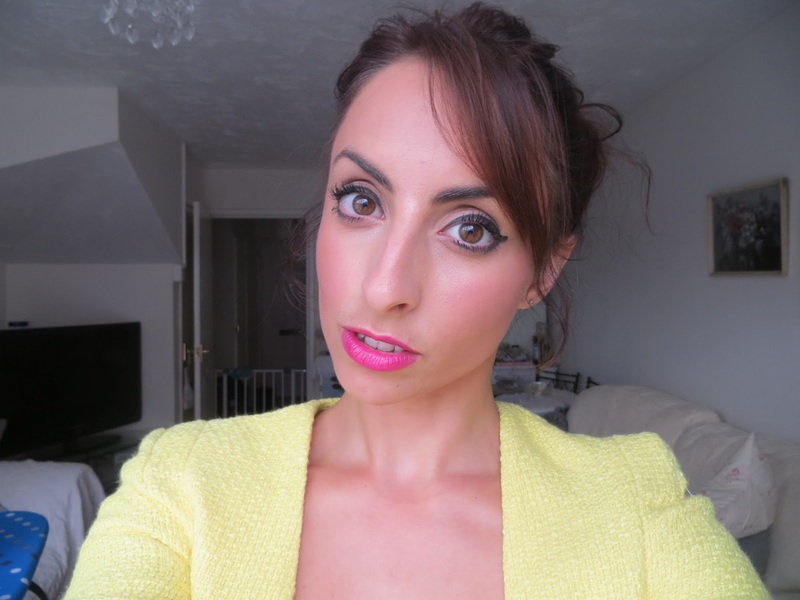 Makeup: Lipstick is MAC Girl About Town! So what do you think? Like the outfit? Think its become a favourite of mine! Absolutely love the jacket honey, we had something very similar in Mango last season in cream & black. Really gutted I never picked one up when they went into he sale! You look amazing! Love the jacket! xxxxxx. I love the pop of the yellow in the jacket against the pink heels! Looking great, love that jacket! You look fabulous Alessia :D that yellow blazer is so gorgeous and such an ebay bargain! You look amazing hon! I totally love the yellow blazer!! Super cute outfit! I love that jacket! I also love ebay finds!! aw this is such a lovely look! the trousers are so pretty! I love the bright vibrant colour of your blazer!! Love how you've paired the brights, you look gorgeous! Love your outfit! The yellow blazer is gorgeous! Love your blog! You are totally rocking this whole look! Love the blazer! I love the pink heels- gorgeous!! Really cool outfit! You look so chic :) I really need to start looking on ebay more.. it looks like you can get some real gems! such a cheerful outfit, you look great!